Last night I made my (in)famous beer chicken and wanted to serve it with a quick side salad. I rummaged through my fridge and found some fennel hanging around. 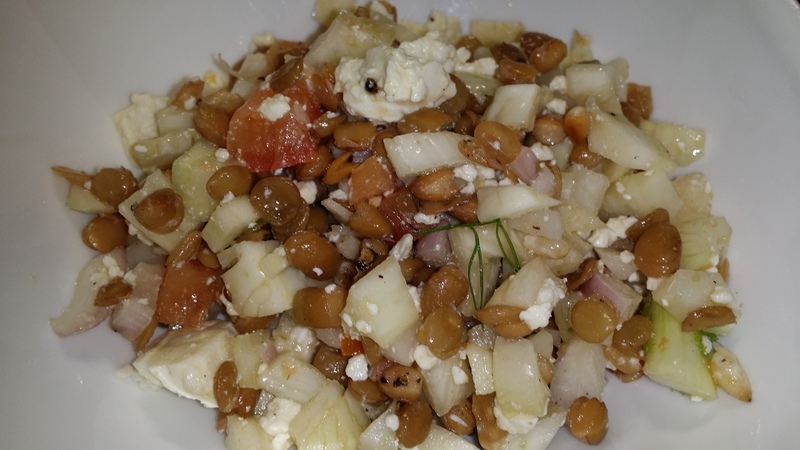 My initial plan was to grill up the fennel, but another quick rummage later, I found an old can of green lentils. So I thought I’d put them together to see if it’ll work in a salad and it was brilliant! Feel free to add some fresh herbs, I didn’t have any so I skipped them. Mix all ingredients, taste to check seasoning. Serve either at room temperature or chilled. Enjoy!